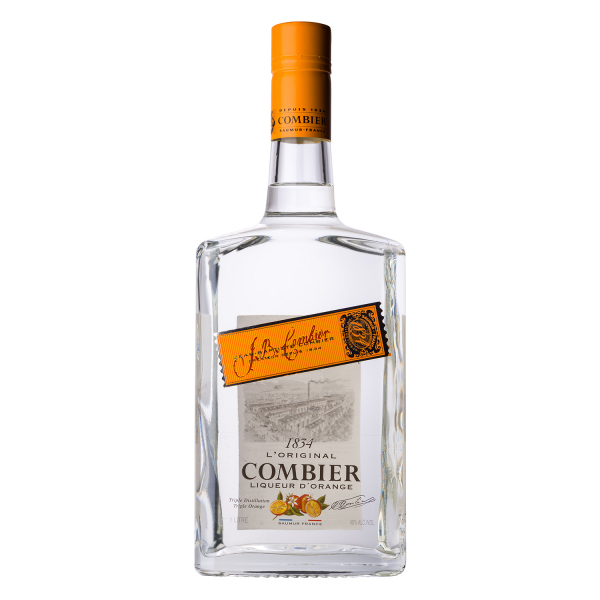 Over the years hundreds have attempted to mimic Combier Liqueur d'Orange's authentic taste using synthetic flavoring, shortcuts in the production process, alterations in alcohol content - all to no avail. Combier's all-natural recipe has never been altered from the original painstaking process. The Combier distillery steadfastly preserves its tradition of handcrafted distillation as opposed to resorting to the use of cheap industrial essences and artificial dyes as with the vast majority of liqueurs and cordials marketed today. It's no wonder then it has become the highest quality orange liqueur from which all orange liqueurs are based. Related links to "L'Original Combier Triple Sec"
Customer evaluation for "L'Original Combier Triple Sec"
Flüssigkeiten ins Glas geben, Kugel Vanilleeis dazu. Alle Zutaten in einen mit Eis befüllten Shaker geben, kräftig schütteln und über das Barsieb in ein vorgekühltes und mit Salzrand präpariertes Glas giessen. Alle Zutaten, ausser dem Tonic, in ein vorgekühltes Longdrinkglas geben und rühren und mit eiskaltem Tonic auffüllen.